Digital sketching is not limited to pen display & stylus. Android tablets have made it cost effective to use your regular device as a sketching pad. 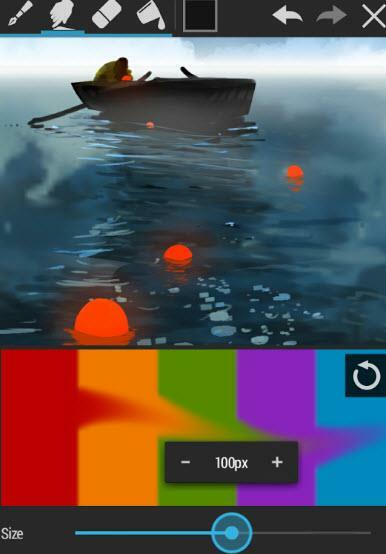 Google play has plenty of drawing apps for you to choose from. In this article, we take a look at some of the Android apps for Digital sketches. Waccom tablet still leads the market of tablets for digital artists, however regular Android tablet are equally effective. Regular tablets with digital art can be used for professional quality art. The same art can be used for some of the small projects, random sketches and also for professional art. Most of the industry leading art software companies have released their apps. Apart from the most common known brands, there are plenty of apps that can be used for the professional art editing and drawing. Here are some of the apps that you can find useful for drawing on your Android Tablet. Sketchbook is one of the popular app that is in the market even before the Android platform. With Android app, you can do a lot of interesting things like flipbook animation and sketching. The Android app however comes in two sets - Free and Pro membership. Free app gets most of the basic artwork done and you can use it for casual sketches. In case of pro membership you get lot of brushes, layers, built-in design library, tool options and export settings. Though pro membership is relatively cheap and priced at 30$ per year, it's not affordable for many artists. If you are just getting started then free app is a good starting point for digital art & sketching. There is free Sketchbook Express app that you can use it for free. After sketchbook, IP is the most effective software for the digital art. In terms of productivity and options of the program, the app is very effective even for newbies. Learning curve is much easier for others and it takes very less time to get used to the options. The best part of this app is that it allows creating your own brush settings and use it whenever you want. It allows you to do a lot of things with your sketching. However the app has some limitations which can be removed with the in-app purchases. For most casual sketches, the app is good enough at it's current state. If you choose to upgrade some of the settings thought in-app purchase then the price of those add-ons start at 1.99$ and onward. This app has gained the popularity because of the water paint brushes. It has some of the nice set of brushes and options for sketching artists. One of the best option of the app is that it allows settings up higher resolution than the tablet's default. This makes it easy for you to use this app for bigger art projects. If you choose to use the nimbus stylus then you'd be able to make use of even more small set of brushes library. The free version of the app supports around 16 layers. And more can be purchased with in-app purchase options. Though the basic version of the app itself is free but additional tools and add-ons are available as an paid extension. Corel's painter used to be the default desktop app with the Waccom tablet. Now Corel is shipping it's mobile version for the tablet and smartphones. Like Sketchbook it has some of the best options for the digital art and sketches. It comes in two different app options - Free and Pro. The free app being limited to the 20 layers and for additional features you have to upgrade to Pro version. The pro version however isn't expensive, it costs only 4.99$ for the advanced features and unlimited layers. Compared to the Sketchbook, painter lacks in flipbook animation feature. If you choose to use fingers instead of stylus, still the app performs well to the strokes on the tablet. This app is not meant for the digital art projects, but more suitable for the mock ups. Paperless has an interesting UI. You may find that compared to the other apps in this list, paperless is more accessible. However it doesn't have a good set of brushes. This makes it difficult for you to use for most of the sketches. With stylus you can get most out of this app. The free version also seems to have export option limitations. You can only export the image to the PNG format or share on social media. The app with all the features and settings costs 1.99$ for the Pro version. Though it may not match the quality like most other apps in the list, still it serves as an alternative to the above apps. 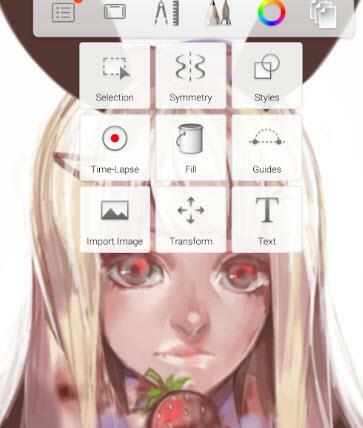 Sketcher is a light weight Android app for casual art and sketches. If you don't want professional level of tools and features, then Sketcher Pro can be one good app to check out. It has only 12 brushes and around 20 layers even inside Pro version. Most of the professional level sketching features are missing. Most of the features of this app are similar to Sketchbook Express app. However it has nice export feature that allows export in PNG, JPG and other formats. Sketcher costs only 0.99$ as it's in Sale mode and may increase the price in future. These are some of the most popular digital sketching apps in the art community. Google Play store has plenty of apps for the professionals but they cost a lot and often not suitable for casual artists and hobbyists. However if you wish to pursue the sketching as a serious hobby then Sketchbook and Corel painter are more effective apps to check out. If you're limited on budget then you should definitely consider other apps in the list.